The Afghanistan that Lindsey Graham, Joseph Lieberman, John McCain and seemingly countless other politicians have been visiting at taxpayer expense recently might as well be on Mars, so different is it, apparently, from the Afghanistan that Jean-Claude Muller, special councilor for international cultural matters to Luxemburg’s prime minister, Jean-Claude Juncker, and I visited just this past month. 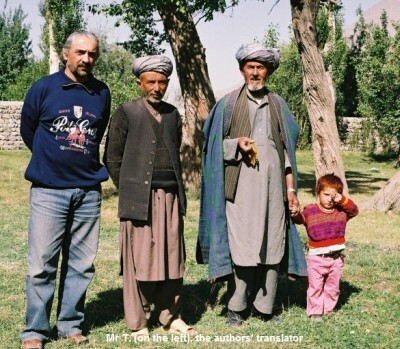 As professional linguists, we were ostensively doing linguistic field work in Afghanistan’s Wakhan Corridor (we are researching a book provisionally entitled “The Tongues of the Taliban: How They Get Their Intelligence”). We funded the expenditure ourselves, and as linguistic researchers have no particular political axes to grind. The Wakhan Corridor is that strange-looking panhandle in far northeastern Afghanistan that is strategically sandwiched between Tajikistan to the north and Pakistan’s awesomely snow-bound Hindu Kush to the south and that also abuts briefly and precariously on China. It is a demilitarized-zone creation of the 19th century Great Game that was viciously played out between Imperial Russia and the British Empire. It is an arbitrary creation and therefore geographically reflects the roots of many of modern Afghanistan’s current ills. We entered Afghanistan from Tajikistan by walking unescorted across the no-man’s land at the Oxus River border station at Eshkashem. We were dressed as civilians and carried our own packs: no vehicles, no flak jackets, no body guards, just plain folks. We were, however, accompanied by our impressive guide and translator, whom we shall simply call Mr. T., a Tajik native of Khorug and a speaker of Tajik and Russian (he spent four years studying film at the academy in Moscow and, like all other Tajiks in his age group, served in the Russian army), as well as Dard; but his native language is Shugni, which is also widely spoken across the Oxus from Khorug in Afghanistan, as is Tajik: there are as many Tajiks (four and a half million) in Afghanistan as in Tajikistan. Then, too, Mr. T. had spent eleven years in Afghanistan working for Focus. We were following the same route through the corridor that Marco Polo took just over seven centuries ago. We stayed with locals (so-called ‘homestays’); sometimes with major landholders, once with a highly respected local “pasha” and once in a hostel supported by the Aga Khan Foundation, but also often enough with people of very, very modest circumstances (the country’s per capita GDP is currently about $60.00). In every situation, the boundless hospitality and cordiality were overwhelming. Just as you initially begin to think the US ought to have left this godforsaken place yesterday, it’s finally the people that bind your heartstrings to it. Clearly, we had all the advantages over “official” visitors pointed out by Joseph Kearns Goodwin in his “Afghanistan’s Other Front” and then some: not only could we move about freely as civilians in an ordinary van with an Afghan driver and thus be far less “likely to intimidate and more likely to elicit candor” than highly marked official visitors, the very advantages Goodwin stresses, but we also had one-on-one conversational access and abilities, something our military and politicians have woefully lacked for decades. 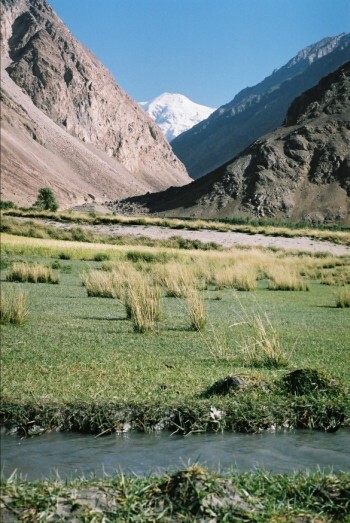 The Wakhan Corridor is a heady ethnic and linguistic mix coupled with profound religious differences: Ismailis fervently loyal to the Aga Khan, the 49th Imam, who saved them from certain starvation during the civil war in Tajikistan; Shiites; covert Buddhists; remnants of pre-Islamic paganism reminiscent of that in Ladakh and Nepal; and even vestiges of Zoroastrianism. And this corridor is what all of Afghanistan might have been and might still hope to be: safe and pleasant, even if initially dirt poor, with no evidence of a Taliban or al Qaeda and devoid of the corruption and rampant system of bribes that plagues the rest of the country. 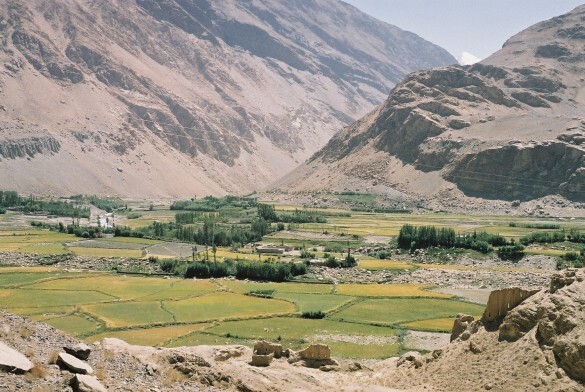 Then, too, we saw no poppies in the Wakhan Corridor, and we walked many fields. Despite such diversity in the Wakhan Corridor, there was a unanimous belief that the Afghan government is simply an outrageous band of crooks on the take and that Hamid Karzai is chief among them. This disgust cut across all linguistic, age and belief groups. It was barely below the surface of any discussion, as was the question of when the “foreigners” would leave. There was no blaming the Russians, nor even our guide, Mr. T., who, as a Tajik, was clearly from the “wrong” side when talk turned to the Soviet era. The wreckage of that period is plain to see: discarded tank turrets decorate many of Eshkashem’s street corners. Most significantly, while there was a firm awareness of local pride of place, there was no patriotic fervor for an Afghanistan, seemingly a very alien concept for many. The answer to the the questions of what to do about the rampant corruption on the one hand and the Taliban/al Qaeda on the other hand that plague Afghanistan … and the answer to these questions is clearly not more boots on the ground (just ask the Russians about that one … with an estimated cost of some $82 billion and the loss of their empire; though you can’t very well ask the 16,500 British troops slaughtered at the Khyber Pass in just one engagement in 1842, and the Brits didn’t get the message until the disastrous Third Anglo-Afghan War in 1919) or elaborate training programs (Anti-bribing 101?) or monitoring all those police checkpoints where palms are greased, lies within the Wakhan Corridor itself and just across the Oxus River in Tajikistan’s Autonomous Gorno-Badakhshan Region, still known by its Soviet abbreviation GBAO. The GBAO is just as culturally and linguistically heterogeneous as the Wakhan Corridor, if not more so. But once you leave the bribe-free GBAO, for which a separate visa is required in addition to that for entering Tajikistan, the police checkpoints and corruption start all over again: drivers from the GBAO are routinely racially profiled by Dushanbe’s traffic cops and required to hand over bribes. Once I convinced our Kyrgyz driver to trade his skull cap for my baseball cap, we started being waved past Dushanbe’s checkpoints. In the end, it was Tajikistan’s disastrous civil war that raged for five years from 1992 until 1997 and that claimed more than 60,000 lives and uprooted more than a million refugees that left the GBAO independent, proud, united and with a clear and collective vision for a future, a vision that finally sees prosperity within its grasp from increased tourism and from providing a trade corridor for neighboring China; the Pamirs are set to become the hub of a new Silk Road, and, get this, it is the Chinese who are building the road system (lamentably with their prisoners, of which they have millions, who receive only food and lodging for their efforts). For us as a nation, it should be abundantly clear that once people gain their independence and couple that independence with a sense of collective purpose and goals, then peace and (bribeless) prosperity usually follow. Afghanistan per se is a fictitious socio-political unit that, by and large, was engendered in the wake of the 19th century’s Great Game; any resemblance to Iraq is real. 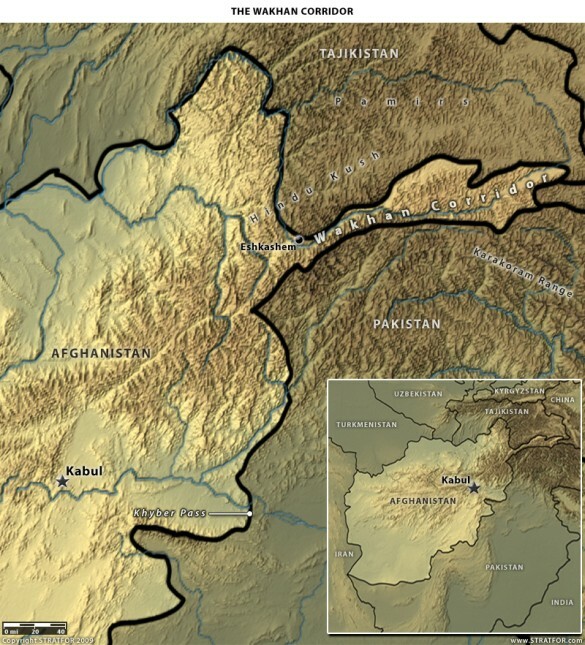 As we see it, given the successes of the Wakhan Corridor and the GBAO, an effective solution to current woes would be to convert Afghanistan into a federation of largely autonomous “cantons” divided along ethno-linguistic lines (and even those of religious persuasion) and then encourage cross-border communication and cooperation between and among related groups; so, for example, between Tajiks on both sides of the Oxus River divide, between Belochis on both sides of the Afghan-Iran border, and so on. We should also look for creative and novel non-military solutions such as replacing poppy cultivation with saffron cultivation (virtually economically equivalent crops), encouraging local handicraft co-operatives, whether operated by women or not (as has been successfully done in the GBAO), building rural schools along the lines of Greg Mortenson, engaging a variety of non-military players such as His Highness the Aga Khan in socio-political decision making, and so on. And we should largely absent ourselves to let Afghan diversity flourish once again. Going blindly down the same paths of militant aggression as did the Russians and British will surely once again end in ever greater disasters, even more so when we have so clearly failed at cultural understanding and linguistic communication. Afghanistan is a mozaic of immiscible territorial ethnicities from all the nations around it and this article proves it. Abdullah’s prospects as a Tajik at beating Karzai, a Pashtun warlord, are as bad as the ability of Karzai to keep the country in one piece. Please get my “sons” out of Afghanistan so they can pick up their lives with their wives and kids in America. We are making pathologic killers out of good men who only joined the National Guard to protect the homeland. Obama must show the determination Nixon showed in 1967 when he told me: WE MUST GET OUT OF VIETNAM NOW!Save our troops, fire McChrystal! 3.	the goal should not be incorporation into the American system but the establishment of an independent society. This article approaches the issue from the opposite direction – from the level of individuals, thus illuminating the specific conditions to be faced by any agency trying to implement those three high-level principles. Can we connect the two? Federations that use the grass root support of the people would be successful if they get buy-in from the citizens of this area. The U.S.A. has not given this idea enough investment. There will be a problem of if the local groups are given power as they will fight violently over it amongst themselves unless you have some very sophisticated dispute resolution methods. The U.S. military should be supporting the local people fight the Taliban instead of having the citizens be spectators. Some military prescence has to exist especially with the neighbors in the area as Russia’s behavior towards Georgia and Ukraine has clearly shown. It is an interesting article but not accurate in my opinion that Afghanistan is an artificial state. It was formed in 1747 before Russia and Great Britain had much sway and put together later by the Pashtuns through a very aggressive khan. What Afghanistan needs in part is a local George Washington, but if you go through history they are very few and far between in the records. I served on two tours of Afghansitan with the British army and quickly became convinced that the creation of jobs was of vital importance to success in Afghanistan. Last year we established Mountain Unity.org as a socail enterprise to promote the Wakhan as a viable destination for trekking and mountaineering expeditions. Our intent is to increase the number of visitors who experience for themselves the Other Afghanistan and become emotionally connected to the remarkable Wakhi people. We hope these ‘Ambassadors’ will return home and help build bridges between their own communities and the people of Afghanistan which will lead to increased sustainable trade and development. You can find out more on our website: http://www.mountainunity.org. Thanks for your article and for coming to the Wakhan. I didn’t make it clear that I left the army in 2005 and this is very much a personal effort with frustratingly little support from any government or other institutions.